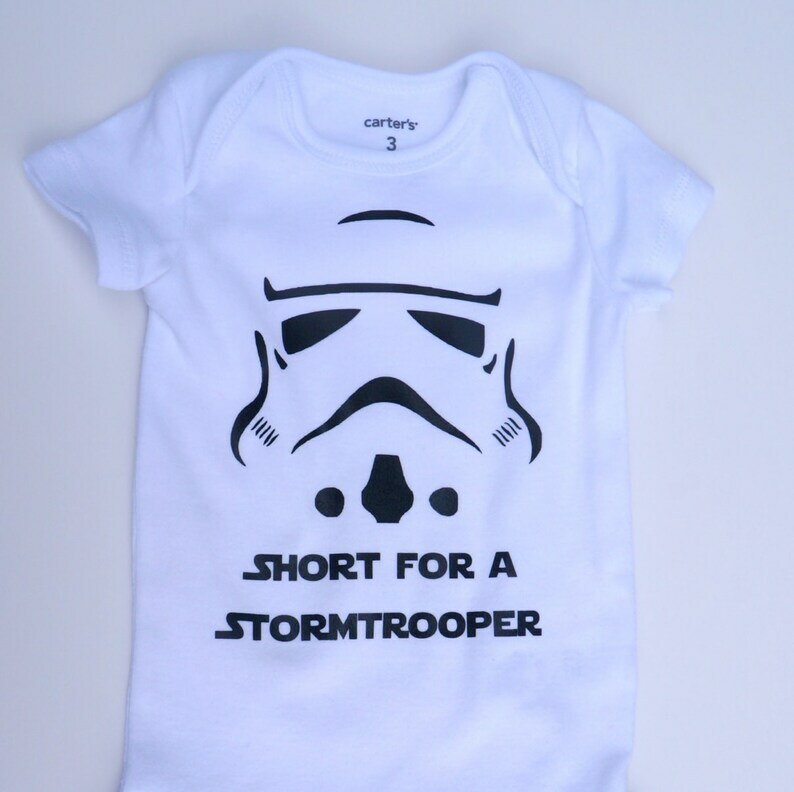 This bodysuit makes a perfect gift for a new little Star Wars fan. Design will not fade or bubble. Machine wash, inside out, cold with mild detergent and dry in at a normal setting in household dryer. 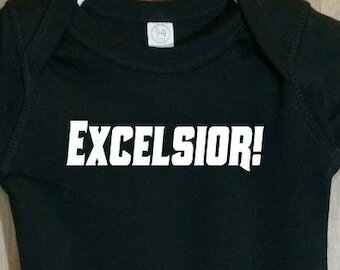 We use Rabbit Skins brand bodysuit and toddler t-shirts, they are soft and durable. Custom color requests are welcome. 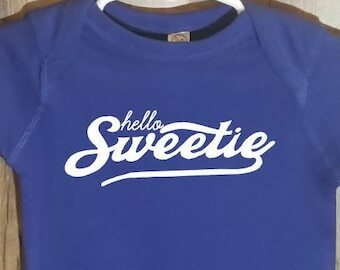 I'm so excited about this onesie! 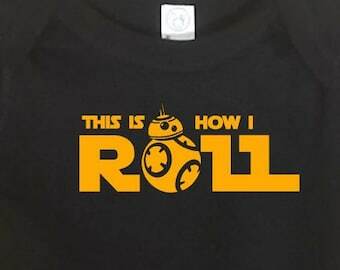 We are a big Star Wars fan family and this is going to be perfect for our newest little member. It looks great and shipped pretty quick. 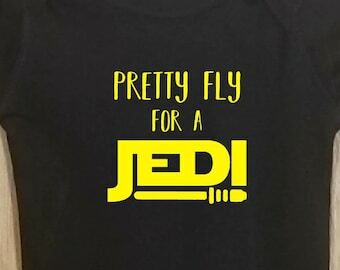 Super-cute, just as expected! Thank you!